Steps taken to improve the urban environment— otherwise known as tactical urbanism—have been around for a while. Going by the name guerrilla urbanism, city repair, DIY urbanism, hands-on urbanism, participatory urbanism, and pop-up urbanism, these phrases loosely describe the same idea: any action designed to improve a city or neighborhood with minimal oversight, budget, and delay. It’s local, hands-on, and immediate, and it can usually be accomplished without a lot of training or resources. This is an excerpt from Tactical Urbanism for Librarians: Quick, Low-Cost Ways to Make Big Changes by Karen Munro (ALA Editions, 2017). Concepts such as “cheap,” “grassroots,” and “local” are relative and open to interpretation. It costs almost nothing to scatter wildflower seeds into abandoned lots while walking or biking around your neighborhood. But it might cost upward of $5,000 to install a “parkmobile” consisting of a custom dumpster filled with tree ferns and yucca plants. You can knit a cozy jacket around a bike rack in your neighborhood all by yourself, but you might need a planning committee and some lead time to pry up the concrete in a vacant lot and plant a community food garden. And although your neighborhood community group might creatively lobby for a new crosswalk by painting a temporary one where it’s needed, it takes a lot more political clout to install 400 miles of bike lanes in New York City. And yet all these projects participate in the spirit of tactical urbanism to different degrees and in different ways. Tactical urbanist projects tend to demonstrate some of the following characteristics: a reliance on ingenuity, a preference for rapid deployment, a willingness to experiment and revise in process, a tolerance for error and perceived failure, an ability to value intangible benefits such as new and improved relationships and proof of concept, and a willingness to start (and sometimes stay) small. 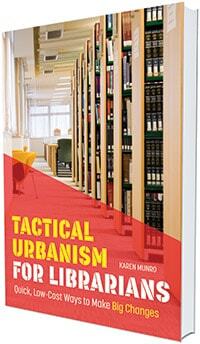 It’s important to point out that tactical urbanism takes its name from tactics rather than from strategy. A strategy is a big-picture plan designed to achieve a major long-term goal. Strategies imply the outlay of sizable resources—money, time, and people—as well as the considered, official imprimatur of an organization or institution. Tactics, on the other hand, happen at a smaller scale. Organizationally speaking, tactics are the tasks and actions that will move you toward your strategic goals. If strategy answers the question “Why are we doing this?,” then tactics answer the question “How are we getting it done?” Tactics are immediate, practical, and limited in scope. They happen at the grassroots or local level. They’re quick to mount and often quick to disappear. So why are tactics worth thinking about? After all, we don’t create professional aspirations around the day-to-day; we create them around long-term goals and directions—around strategy. Why spend time thinking about short-term, low-risk projects when what we really want is to build a city—or a library—that will thrive and flourish a decade or a century from now? Cities and libraries have a lot in common, and librarians can learn from tactical urbanist projects of all different types and scales. Librarians who want to change libraries may face many of the same challenges faced by ordinary citizens, city planners, and even lofty transportation commissioners who want to change cities. We have to do things we’re not trained, equipped, or funded to do. Sometimes we have to fix or create things we’re not even clearly charged with fixing or creating, simply because they need to happen. Many of us operate from a position of daily intimacy with the issue at hand. We walk on a broken sidewalk or use flawed software or dream of the renovated exhibition space every day. We have to create our action plans on the fly, developing our ideas, narrative, and partnerships as we go. We’re not experts. We’re thoughtful, energetic, creative people with ideas. Tactics offer us a framework for action that’s flexible, extensible, and fun to use—and that has proven to be effective whether you’re broke or flush with cash. Because tactical urbanism is defined by a creative, resilient, democratic response to challenges, and because it typically operates in service to a larger purpose, it’s a potent complement to traditional organizational structures. Your library can probably encourage a tactical culture without conflicting with existing hierarchies, reporting structures, and budgets. Are we talking about cities or libraries? That’s a good question. Let’s consider the modern city—a large, complicated organization with a lengthy personal history. A city is traditional, retentive, and conservative by nature. It represents vast sums of public investment as well as vast areas of public liability. It’s shared by people from all walks of life, all income levels, and all religions and ethnicities. It’s run by a bureaucracy, usually made up of experts. Its operations are rife with loopholes, exceptions, requirements, regulations, standard practices, omissions, and work-arounds. It’s hierarchical, yet its membership and leadership change over time. A city has institutional memory, although occasionally that memory is faulty. A city needs money and is perpetually short of it. It has a public image to uphold. It exists because of, and for, the people—but sometimes that fact gets forgotten in the complex, challenging, occasionally tedious business of making the place run. A tactical, DIY, or guerrilla approach can still be professional, positive, and collaborative. If you’re a librarian, some or all of this might sound familiar. Libraries and cities have a lot in common, and that means that librarians are comparable with the people who run cities. We all participate in the life of cities, just as all library users participate in the life of the library. Libraries, like cities, are first and foremost about people. That’s an underlying principle of tactical urbanism—everyone who lives in the city has the right to speak up about issues and conditions and to participate in changing or solving them. If we transfer the idea to libraries, then we should assume that we all—librarians, administrators, staffers, and patrons—have the same right and obligation to act within and upon our organization. The Venn diagram of tactical interventions in libraries and cities shows that they share a lot of middle ground. The L!brary Initiative in New York City is a citywide attempt to address poverty and improve childhood education through improving elementary and middle school libraries. The cities of Magdeburg, Germany, and Newmarket, Ontario, created innovative library buildings to boost their economies and social cohesion. In Texas and Missouri, towns with abandoned big-box stores reenergized their streets by creating libraries in those unused spaces. In Cleveland, the public library’s outdoor summertime art installations benefit a whole neighborhood. Libraries are essentially communal organizations, so it’s no surprise that the essentially democratic, humanist values of tactical urbanism translate so well into the library context. 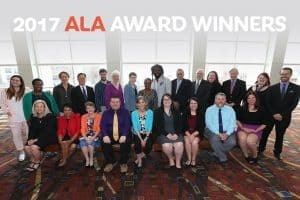 You might work in a library that dearly needs some creative, innovative, tactical interventions—and yet your library leaders might not want to hear a single word about “tactical anything.” Or you yourself might be a library administrator who’s overburdened, underfunded, or otherwise unable to add any new ideas to your plate. Or maybe you think things are going just fine at your library. Maybe your library is already a nimble organization that gives its staff members full rein to creatively and cost-effectively test ideas that serve its larger goals while responding quickly to fix problems as they arise and supporting trials of projects that push your library into new, exciting territory. As you explore your options, remember that your approach matters. A tactical, DIY, or guerrilla approach can still be professional, positive, and collaborative. That might sound counterintuitive, but just as there’s no such thing as an expert tactical urbanist, there’s no hard-and-fast rule about how tacticians can or should work with existing organizational structures. Certainly many tactical interventionists take the role of gadfly, provoking those in authority into action. Others operate around the fringes of the mainstream power structure, creating playful or creative interventions without a strong political bent. And some tacticians are already in positions of organizational power and influence, affording them unique opportunities to introduce a tactical approach at a higher level. Whether tacticians seek to collaborate with managers and gatekeepers or spur them into action, their tone and approach are vital. In an organizational setting, alienating colleagues can spell doom for the best, most creative ideas for change. If you want to bring resistant colleagues or administrators on board with a tactical approach to a project, it might be helpful to anticipate some of the reasons why they might reject it. Because tactical urbanism is our model, let’s start there. We’ve seen that it can be hard to pin down exactly what tactical urbanism is, so let’s take a minute to say what it isn’t. It’s not chaos. Tactical urbanism isn’t just everyone doing their own thing. Some of the projects already mentioned—tossing seed bombs into vacant lots, for instance—are pretty unregulated. But we’ve also mentioned that a tactical approach is by definition tied to a larger goal or strategy. Although most tactical urbanist interventions are grassroots compared with official city hall bureaucratic structure, they are strategically tied to the needs of the community. In the case of seed-bombing a vacant lot, the larger strategy is to activate an urban asset left fallow by the official power structure. It’s not revolt. If tactical urbanism is a revolution, it’s a gentle one. Although tactical urbanists do seek to change the status quo and some of their methods may skirt the fringes of legality, tactical urbanism shouldn’t conjure images of troops taking to the streets. Some forms of tactical urbanism do overlap with civil disobedience, it’s true—the open-air libraries of the Occupy Wall Street movement come immediately to mind. But as an approach to change-making, tactical urbanism is collaborative, participatory, and open to working with existing power structures (often playfully and creatively) rather than demolishing them. It’s not change for its own sake. Tactical urbanism is not doing something just because you can. Too many librarians are familiar with the concept of “death by a thousand projects.” Libraries have many different audiences and constituencies whom they must serve in many different ways. Academic libraries might be tasked with records management or instructional technology support on their campuses. 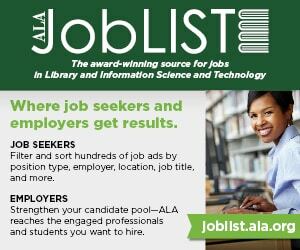 Public libraries may offer free lunch programs for low-income kids and community workshops on job searching and professional retooling. 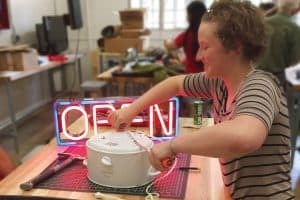 And almost everyone is installing a makerspace. Some of these projects we’re excited to work on, while others may be mandated by circumstance. 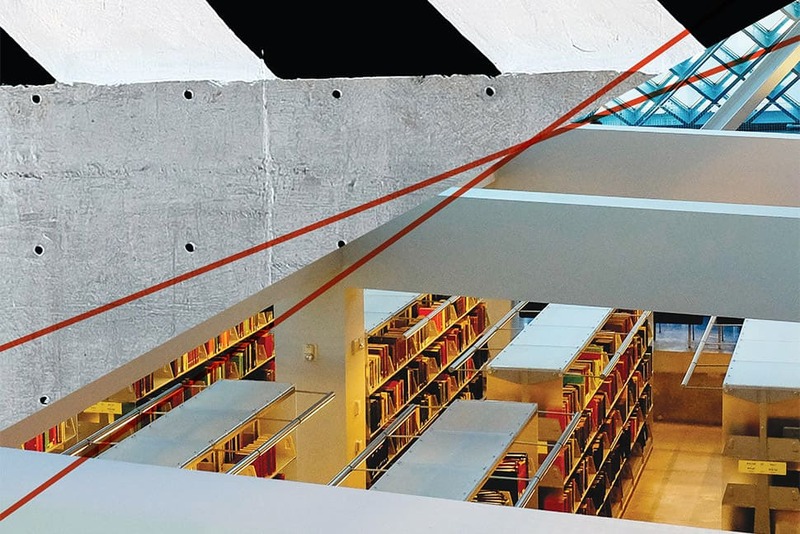 A tactical approach to libraries wouldn’t support leaping into every new opportunity that comes along just because it’s there. Instead, the tactical librarian should look for quick, low-cost, low-threshold ways to do work that serves the organization’s larger strategies. It’s not a sweeping reversal. Perhaps because tactical urbanism is known by many other names, including guerrilla, grassroots, and DIY urbanism, it can carry a certain whiff of rebellion. But most tactical urbanism is, in fact, small-scale and incremental. Most projects are low- or no-budget and can be accomplished by ordinary people, so they don’t radically upend the status quo. Tactical urbanism aims not only to accomplish a short-term tactical goal but also to engage creatively with the official power structure. The idea isn’t just to depave that vacant lot but to show how things could be better, get people interested and engaged, and use that imaginative and social capital to spur the city works department to build a playground there instead. 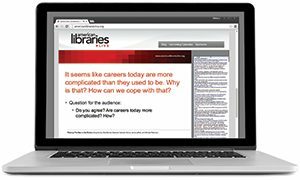 Library administrators can help create—and benefit from—a tactics-friendly environment. The attitudes and approaches you cultivate can accomplish things quickly, cheaply, and effectively. No two libraries are the same. No two librarians are, either. You’ll have to decide for yourself exactly how, when, and why to take a tactical approach in your workplace. Reassessing the value of experimentation, creativity, communication, collaboration, and delight in your work will allow you to seize opportunities to create them whenever you can. KAREN MUNRO is head of the University of Oregon Portland Library and Learning Commons. Previously she was e-learning librarian at University of California, Berkeley, and literature librarian at the University of Oregon in Eugene. She has an MFA from the University of Iowa Writers’ Workshop and an MLIS from the University of British Columbia.